American Airlines has increased the bonus on the purchase of AAdvantage miles through January 4, 2016. You can now buy up to 150,000 American Airlines miles and get up to 115,000 bonus miles, for a total of 265,000 miles, for 1.81 cents each. The bonus miles are tiered, based on how many miles you purchase. There is a new bonus of 115,000 miles for buying 150,000. American Airlines miles cost 2.95 cents each plus a 7.5% excise tax, and every purchase has a $30 processing fee. The cheapest per-mile price comes from purchasing 150,000 American Airlines miles + 115,000 bonus miles for $4,796.88. That works out to getting 265,000 miles for 1.81 cents each. This is the cheapest American Airlines miles sale of the year. With many of American’s sales, you need to buy the maximum number of miles to get a decent price near 2 cents per mile. With this sale, the lower denominations are much cheaper than normal. This sale offers a much better chance than usual to make a small top up of your account for an award you have wanted to book. Of course instead of spending any money to buy miles you could get the Citi® / AAdvantage® Platinum Select® MasterCard® and CitiBusiness® / AAdvantage® Platinum Select® World MasterCard®, which are each offering 50,000 bonus American Airlines miles after $3,000 in purchases made with your card in the first 3 months the account is open. Don’t be thrown off by the word “Platinum.” Both cards have no annual fee the first 12 months, and then $95. The cheapest miles cost 1.81 cents each during this promotion, and that requires shelling out $4,700+. I value American Airlines miles around 1.8 cents each, so there is no way I would buy these miles speculatively for 1.81 cents. The only way it could possibly make sense to buy miles at these prices is if you had an immediate high value use for them. Possible high value uses are off peak international awards like 20,000 miles one way to Europe and partner First Class awards like Cathay Pacific First Class to Southeast Asia for 67,500 miles. A: Value of the award. Important: this is the lesser of the cash price and your subjective value. This will spit out the dollar value you are getting for your miles. If that number is greater than 0.0181, put your dream award on a free five day hold with American Airlines, then buy miles during this promotion, and book the held award. Otherwise, don’t buy. AAdvantage miles purchases are processed directly by American Airlines. That’s great news! 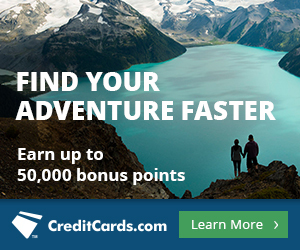 It means you can purchase American Airlines miles with your Barclaycard Arrival Plus™ World Elite MasterCard®, then use your Arrival miles for an offsetting statement credit. You can buy 265,000 American Airlines for $4,787 or 1.81 cents each. That’s too high to buy speculatively. Hopefully cheaper sales come along. 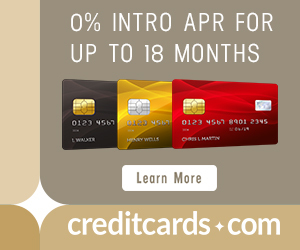 The American Airlines miles sales are now processed by American Airlines itself, so you can get category bonuses on cards that bonus airline or travel purchases like my latest card, the Citi Prestige® Card which offers 3x on purchases from airlines, or you can use your Arrival Plus to get American Airlines miles for zero cash. Would this also work for the AMEX Platinum $200 credit? Theoretically, no. They officially don’t cover miles purchased. But realistically, since it is coming through as an AA purchase it might go through. I just would not count on it. Scott it seems like buying the miles for an Etihad award would be a bad idea. I searched today for dates a year and also 6 months out from DFW, IAD and JFk in Business and First and found little to nothing. Can you comment on your experience with availability lately? Smart to search before booking. Availability varies widely by time of year.